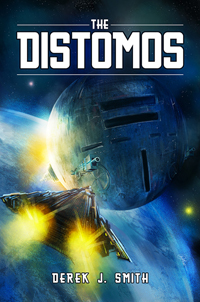 Published in February of 2015, my first book, The Distomos is ON SALE NOW! Mankind has taken to the stars; maintaining their empires through the belief in God. Peace and prosperity are kept through Church-appointed Templars: the police of the galaxy. But when the Distomos, a secret weapon from the Church falls into the hands of the enemy, two ex-Templars, Kieran Rhet and Normandie Jade, are hired to get it back. With only a matter of time before interstellar war begins and the Distomos is used, friendships, courage, and faith will be tested when all seems lost.